Join us for this FREE event at the Stoney Point YMCA! The first 200 kids to attend will receive a FREE t-shirt and goody bag! The YMCA holds this community-wide event every year to encourage kids to stay active and continue learning throughout the summer months! Kids will enjoy playing fun games and parents can learn about opportunities to get the kids involved in activities. During the summer, kids can develop a more sedentary lifestyle and can miss out on expanded learning opportunities. The YMCA is here to help make sure kids in our local community know there are activities to participate in all summer long. 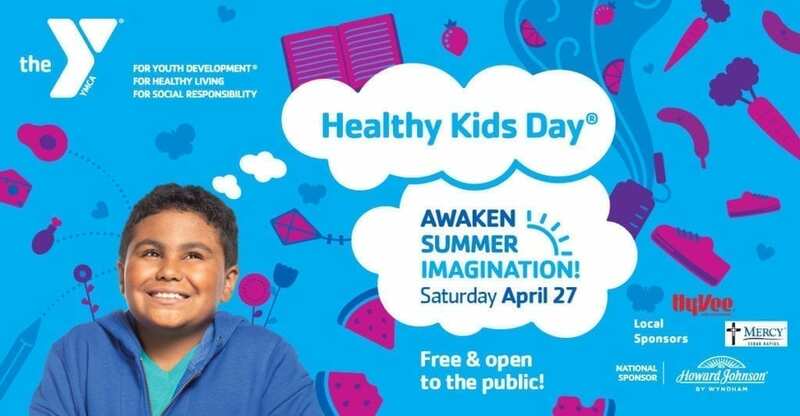 Kids will also learn about nutrition and how to make healthy snacks thanks to Hy-Vee! Event is free and open to the public; registration is not required. If you are interested in helping us put on this free event, please view the sponsor opportunities and contact Sarah Hoeger or Lynn Saddoris if you are interested. Sponsors help us make this event accessible to all in our community!